Judith Worrall is one half of the dynamic duo that founded the Yorkshire Lass Cycling Club, an all women's cycling club based in North Yorkshire. 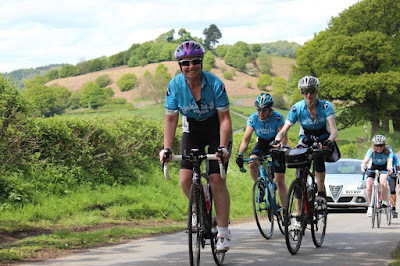 Along with Kate Horsfall, she formed the club in 2015 and have inspired hundreds of women in Yorkshire to get out and ride, particularly at their cyclosportive that takes place in the North York Moors in early August. 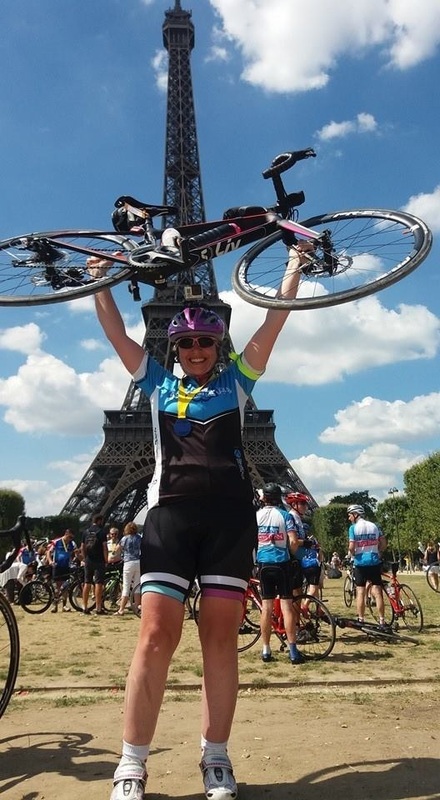 Through bike riding Yorkshire Lass CC have also managed to raise tens of thousands of pounds for Women V Cancer, as well as other local charities. I met Judith and the Yorkshire Lasses last year when I wrote a feature about them for Cycling Weekly magazine. They were a very cheery and slightly boisterous bunch, and I could see why anyone who cycles with this group of ladies is likely to get the bug for cycling pretty quickly. Judith's and Kate's enthusiasm is infectious. As a youngster I didn’t ride bikes, but I used to ride horses. I got into cycling in 2011 when I was trying to lose weight. I started with Slimming World, and my husband said to me to do cycling as part of it. On my first ride I did 5 miles and thought I was absolutely gonna die. Then I signed up to do my first challenge, in India in 2012, so then I was committed so I had to carry on cycling! My husband was very supportive, but I did get a bit of negativity from people. Fortunately it wasn’t a lot, and I would just smile and ignore them. I really caught the cycling bug and have since gone all over the world doing bike rides in India, Cuba, Tanzania, Vietnam, Cambodia, and Brazil, raising money for Women V Cancer, and meeting lots of different people. I do love cycling in Yorkshire though. The countryside is beautiful, and the scenery is amazing once you’ve climbed the hills. My favourite place is the Thirsk area near where I live, as well as Brazil. Fund-raising through cycling is very important to me. Me and my clubmates do a lot of fund-raising for Women V Cancer. Three of us from the club did a ride around Brazil with nearly 100 ladies last year. We also did London to Paris, and Ride the Night, in London, for Women V Cancer. So we’ve always been fund-raising. Through my challenge rides I’ve met a lot of women who have been affected by cancer – either directly or indirectly. My mum was diagnosed with breast cancer earlier this year and passed away. I met Kate, the co-founder of Yorkshire Lass Cycling Club (YLCC), through our husbands, who are both very keen cyclists and they used to both work together. They would have a Christmas do at the Lakes, so we would see each other then. My husband’s retired now but we thought we would carry on doing the weekend in the Lakes, just the four of us, and we took our bikes. When we started cycling together the conversation came up about starting a club. We’d both been members of other clubs, done a lot of things and seen how other people organise clubs, and thought, actually we can do this. We can organise a ladies only club. So Kate came up with the idea of doing it, and asked if I fancied giving her a hand. I said, yeah all right then and the YLCC was formed. It was Tony Booth from All Terrain Cycles who Kate approached and asked if he could help us. He paid for the British Cycling membership for the first year and he also supplied the shop for us, to use as our base. Kate and I put a message on Facebook inviting women to come on a ride, and our first club run was on March 13th 2015. We were panicking thinking, what happens if we don’t have anyone turn up? So I enrolled my friends, saying they had to turn up even if nobody else came. We must have had 30 people turn up, which was great. The club grew, and now we have over 100 members. We meet at Wetherby for our rides, though we’ve got members from all over Yorkshire. I’m about a half-hour drive away, but we’ve also got people from the Yorkshire Wolds in East Yorkshire, and from near Leeds. So our rides go to various parts of Yorkshire. Someone puts a message on the facebook group about ideas for sportives and rides and a lot of people will just reply and join in. I think the thing that attracts a lot of people to YLCC is the fact it’s ladies only. A lot of ladies don’t always like riding with men – just because they’re physically stronger than us, and it’s nice to have a good old natter. We have some good old random conversations about all sorts of things. So it’s just nice as ladies to go out on a bike ride with other like-minded people without trying to break a Strava record, and maybe get away from everyday stuff at home, or work. It’s not being sexist, it’s just a lot of women don’t have a lot of confidence in themselves and their riding. We’ve got different groups – a steady, a moderate, and leisurely group, and also a “twixt” ride which is in between a steady and a moderate. We’ve found a lot of members on the steady rides are getting faster and stronger, but not quite ready for the moderate ride. So what we’ve done is just put another group in between. On the moderate ride you’ve got to be pretty self-sufficient, know the route, and be able to ride at a certain pace. But with the “twixt” group we always make sure people wait at the top of hills and nobody gets dropped – not that anyone gets dropped on any ride, but the “twixt” group makes it a bit more of a confidence builder for the ladies wanting to go that bit faster. In Yorkshire there’s our club, and also the Queensbury Queens ladies only club. I don’t think we have too many ladies-only clubs at the moment, as I think we need to be encouraging ladies to get out on their bikes more. These clubs and the Breeze rides are very helpful as there can be too much testosterone in mixed clubs, and it can put novice riders off. I also think more could be done for women over 40. For instance in clothing we could do with bigger sizes and a bit of a slacker cut on ladies’ tops for those who have a more ample size. At our charity sportive we had over 500 ladies take part, and between this year’s and last year’s event we have raised over £50,000 for Women V Cancer, Yorkshire Ambulance, Carlton Lodge Bursary Fund, and PSPA (a charity that supports people living with Progressive Supranuclear Palsy and Cortico Basal Degeneration). It’s the third year we were doing this, and we had support from All Terrain Bikes and Carlton Lodge Activity Centre. There was a choice of 3 routes – the “Ow do”, 30 miles; “Enjoy thissen”, 60 miles; and “Flippin ‘eck”, 103 miles. The routes went through the North York Moors, with the long route having quite a few more challenging climbs than previous years. We had lots of ladies signing up for the 100 as their first 100-miler. And then also on the 30-miler we had lots of ladies turning up on normal bikes so it wasn’t all about road bikes, it was about getting ladies on bikes. We had a lot of positive feedback, from women who had done the sportive saying that it was their first one and that they’d really enjoyed it. And the encouragement they got was absolutely brilliant. As ever, we are immensely grateful to all our sponsors and supporters especially All Terrain Cycles who have supported us again this year. We also had sponsorship from Mountain Fuel, Cycle Retreats, OTE, and Big Bobble hats. The event simply wouldn’t be possible without the help of the hundred plus lasses, the Yorkshire Lads Carl and Ian, who are the brains behind the route management, and who are mine and Kate’s husbands. Thanks go too to the YLCC club members and their families and friends who came along to marshal and run the feed stations. Cycling plays a massive part in my life. I ride my bike when I can, and when I’m not riding I’m busy organising the sportive. When I ride I never go out without a bottle of juice, bar and phone. But I do go out without my knickers and with padded shorts! What I like about cycling is the way you get out and meet nice people. I like the freedom that it gives you. Not that I’m the bravest going downhill, but when I’m going downhill it’s like being a child again. It takes you away from work things, and everything else you’ve been doing. I don’t always like going up hills, but there’s something to be said about when you get to the top of a hill and you’ve managed to do it. We did the Maserati ride as part of the Tour de Yorkshire and that was like hill after hill after hill all day. It was hard, but once we’d done it it was absolutely fantastic. 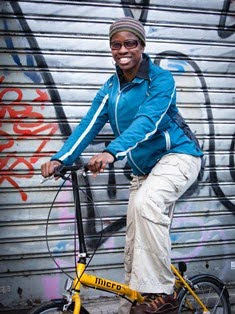 To any older women who would like to get into cycling I’d say find a friendly club and give it a go. Don't worry too much about it as everyone has the same worries and issues at some part of their life. You need to find a club you enjoy riding with and don't push yourself out of your comfort zone too much at the beginning. Get confident first. The Yorkshire Lass CC Charity Cyclosportive takes place on Sunday 28th July 2019.